Survival Kit favor bag BULK ORDER. Buy these versatile bags in bulk for 5% off our individual bag price. Offer available only in this listing. Shipping is in the US included in the price. Available in lots of 10-200 bags. For orders of 200+ bags please send a convo for a custom listing. 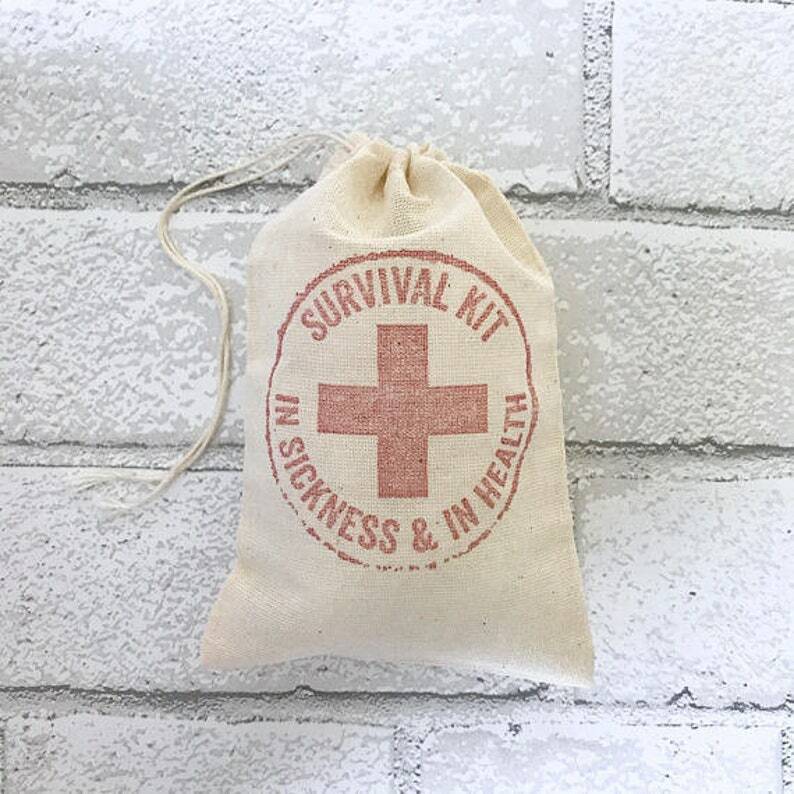 Fill up with your favorite survival goodies for your bachelorette or wedding party. Makes a fun wedding welcome gift. Multiple sizes available, 4 X 6 inch bag pictured. 5X7, 6X8, 8X10 sizes also available.